Make your flooring out-standing by using stylish 2″ black white porcelain triangle tile mosaic with heart pattern. This tile comes in a matte finish, strong durable and waterproof, can be used in bathroom, shower, kitchen, living space even the swimming pool. Mesh backing is easy to install. 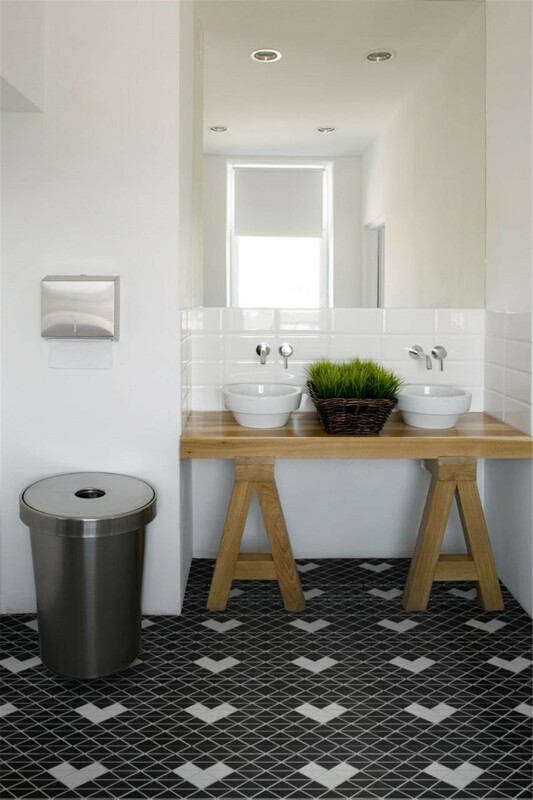 I am looking for white and black floor tiles for my bathroom, is it suitable for floor use? yes, it can be used for floor, the tile is made of premium porcelain material, the matte finish is anti-slip.